Many events in life probably prompt such introspection and reflection. For the main character in my book, it was the funeral of a friend, and his own uncertain health. For us, it could be brought on by something as simple as the advent of a new year or as serious as a near death experience, a life-threatening diagnosis, the birth of a child or a financial reversal. It could also be a birthday. 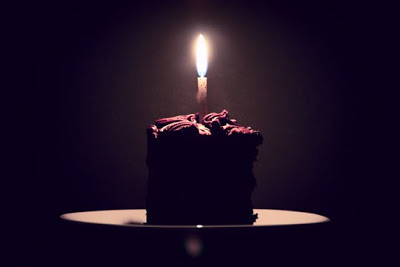 Another year older, and how did I get here? We consider the “road not taken” or the missteps on the chosen path. We wish for different choices. Better choices. We dredge up our mistakes. I certainly don’t have the answers on how to process our past to avoid the heavy weight of “what if” and “if only.” (I have bruises on my psyche from beating myself up!) I’m not sure regret is avoidable, aside from complete erasure of our memory. I’m hoping the same can’t be said for guilt. And over the past few weeks leading up to my birthday, I’ve been involved in this activity of recall, questioning, recrimination...and self-flagellation. As I look back, there are so many things I wish were different. So many choices I would change. So much pain I inflicted—sometimes on purpose, usually inadvertently. So many people damaged by my actions. I’m acutely aware that my decision to live honestly hurt many people (my children, my wife, my family, my church, my friends, brothers and sisters in the faith), and I retain much guilt for the collateral damage left in the wake of my personal journey! While I know it was the right thing for me to do, and I'm at peace with who I am now, it came at an extremely high cost. Of course, we know—at least, intellectually—that preoccupation with such a hypothetical scenario is futile. And we can see the obvious flaw in the entire idea of wishing to change something...anything...in our past. Who we are now is the compilation of all our experiences, good and bad. We are the result of all our decisions, right and wrong. They are all inseparably connected and intertwined, and we are the person we are today because of, not in spite of, our past. Granted, it doesn’t alleviate the regrets, but maybe it works to give us a healthier perspective. And by the way, here’s my answer to the question asked about my marriage and "coming out." First, it was a different time (mid-1970s). I wanted to go into the ministry, in the Southern Baptist Church, so being gay was out of the question and being married was expected. (It’s also why I began “ex-gay” treatments, another lasting regret. I was hurt by the programs, and in turn, hurt others.) But more to the point, if I answered in the affirmative, it would negative my children’s lives. I cannot imagine my life without them. They are the good that shines bright in the darkness of all my past mistakes. If I could give myself one gift for my birthday, it would be to release the guilt of my past mistakes and to forgive myself. (At my age, I think it’s time!) I want to get past my past! That way, if there’s the opportunity next year, perhaps the noise of “what if” and “if only” from my then will be drown out by the grateful acknowledgment that it brought me to my now. AUTHOR'S NOTE: As I read back over this, I thought it was important to clarify a few things. I made the choice to "come out," but I did not choose to be gay. I don't see that as contradictory to my faith; in fact, I view honesty and integrity as central elements of a Christian's life. I regret that some of my past actions injured others, but in no way do I equate that with a sinfulness of being gay, nor am I ashamed of who I am. I certainly don't think the guilt and regret about my past correlates to (as one person insisted) "the conviction of the Holy Spirit." I think "coming out" was essential for me, but I wish I'd had the wisdom of hindsight to do it with less hurt to those around me. (i.e., "if I knew then what I know now"). P.S. This entry is extremely personal, and I'm too subjective to know if it's overly maudlin. That's not my intention. I've promised to share whatever was "bubbling up" in my head, and I've always been transparent here. Take it in that way, please.